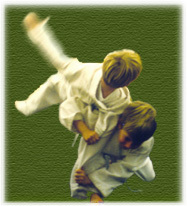 Academy Judo Services is a small group of independent professional judo coaches who have been teaching judo extensively in London’s top day schools for many years. All the instructors have qualified to the new national vocational qualification standard, and hold British Judo Association coaching awards and health and safety executive approved first aid certificates. The instructors are all fully insured and have extensive experience teaching children and keep constantly updated with modern ideas by attending national coaching courses. Our coaching staff is headed by Mr Lloyd Nicholls 2nd Dan, senior instructor for The Yamabusi Judo club who is also a former British and European gold medalist.